I received an email a few weeks ago from a listener to my radio segment asking me to recommend some recently released movies to her that she may not have heard of. With the typhoon the other day, I thought this would be a good time to review some of these films so that you can watch them when you’re unexpectedly stuck inside for a few hours. Actually, you should watch these films regardless of the weather. When was the last time you watched a film from Colombia, let alone an Oscar-nominated one? That should be reason enough to watch this gem by director Ciro Guerra, whose previous film, THE WIND JOURNEYS (2009), was also critically acclaimed. EMBRACE OF THE SERPENT starts off in 1909. A German ethnologist, Theo (Belgian actor Jan Bijvoet), is close to death. He is brought to Karamakate (Nilbio Torres), an indigenous shaman who lives in Colombia’s Amazon rainforest. Theo has heard that a sacred plant called a yakruna can cure him and only Karamakate knows where to find it. At first, Karamakate refuses to help him. Rubber barons from neighbouring Venezuela have destroyed his village and his land, either killing or enslaving his people in the process. At the same time, Spanish missionaries have stolen his people’s children. Karamakate, who believes he is his people’s sole survivor, wants to be left alone to live out the remainder of his days. But Theo tells him that he’s not the only one of his people to survive and he promises to take Karamakate to his people if he takes Theo to find the medicinal plant that can save his life. And so the men begin a journey upriver revealing the extent of the societal damage that Karamakate had spoken of. The story then jumps ahead 40 years and another white man meets an aged Karamakate (now played by Antonio Bolivar). American botanist Evan (Brionne Davis) has Theo’s diary and he, too, asks the shaman for help finding the now legendary plant. The shaman’s memory has faded, though, with no one to treat and no one to pass on his knowledge to all these years. All he has left are fleeting memories and voices inside his head. But, once again, he agrees to accompany a foreigner in search of whatever fate awaits them both upriver. If I were to sum up this film in a title, I would call it “Corazon of Darkness” and I mean that in the most complimentary way. Much like Joseph Conrad’s novel, this story pulls the viewer in as the men head deeper into the heart of the rainforest. Along the way, we witness the barbarity of so-called “civilized people” and the destruction they wreak on the local inhabitants and their culture. Masterfully shot in black and white with the exception of the closing scene, this is a very slow moving film – much like the serpent in the film’s title. Stick with it and you will be richly rewarded. 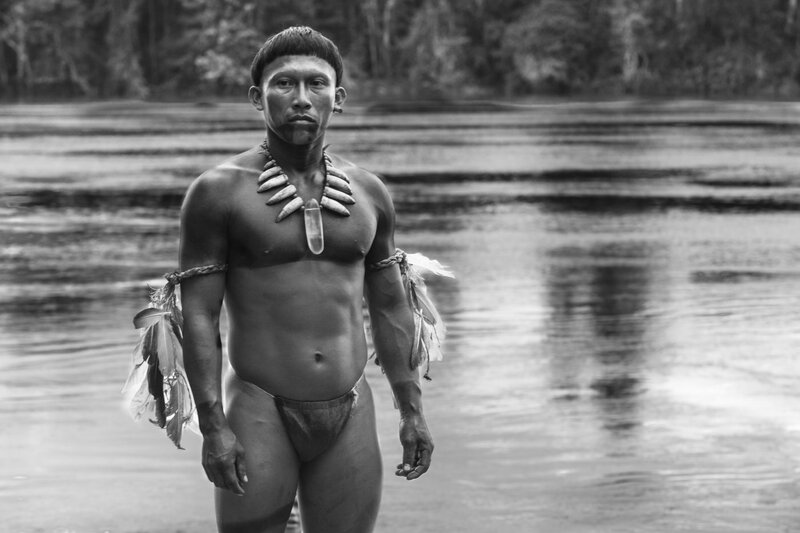 EMBRACE OF THE SERPENT won the Art Cinema (C.I.C.A.E) Award at the Director’s Fortnight at the Cannes Film Festival in 2015. It isn’t easy to watch a film about a character who is a self-absorbed jerk, so LISTEN UP PHILIP is going to be a challenge for most. Narrated by Eric Bogosian (Oliver Stone’s TALK RADIO), LISTEN UP PHILIP sometimes plays like a documentary – a case study of how to alienate your friends and family while having a successful career. It’s both amusing and acidic at the same time. It was written and directed by Alex Ross Perry, whose latest film, QUEEN OF EARTH, which also stars Elisabeth Moss, was released last month in the US and is receiving high praise. After 10 minutes of watching Philip trash all his relationships, you’re going to want to turn the movie off. Don’t! Noah Baumbach may just be the reigning king of creating complex and often dislikable characters. He’s the guy who introduced moviegoers to Bernard Berkman (THE SQUID AND THE WHALE), Roger Greenberg (GREENBERG), Josh (WHILE WE’RE YOUNG) and Frances (FRANCES HA), to name a few. (I have to admit that I liked Frances though she was so screwed up.) With MISTRESS AMERICA we are introduced to Brooke (played by Baumbach’s girlfriend and muse, Greta Gerwig, who also shares the film’s co-writing credit). Brooke is Manhattan’s gal about town. The 30-year-old is a whirlwind of activity, long on ideas but short on cash. Her newest “project” is mentoring Tracy (Lola Kirke, GONE GIRL), a lonely freshman at Barnard College who has ambitions of becoming a writer. The two women are about to become stepsisters, with Brooke’s dad set to marry Tracy’s mom. No sooner do they meet up then Tracy falls under Brooke’s spell. She loves Brooke’s bravado and is too young and naive to see Brooke for the colossal failure that she really is. But Brooke gives Tracy that push she needs to go and get what she wants. 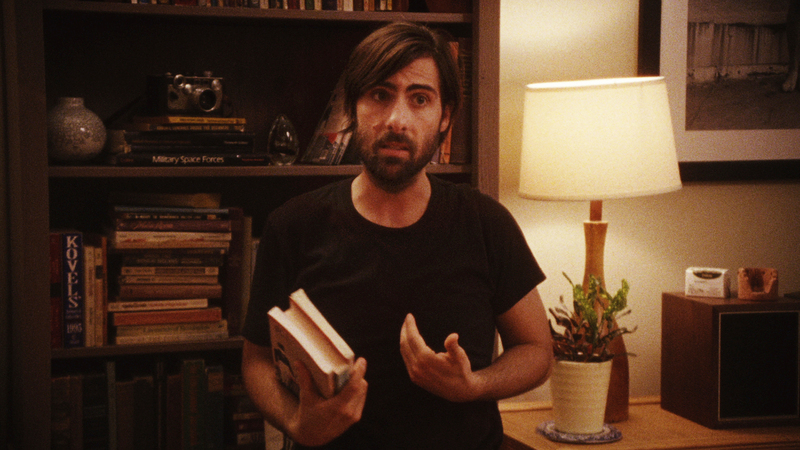 Baumbach and Gerwig have once again tapped into millennial angst and selfishness in the big city. If he is this generation’s Woody Allen, she is his Diane Keaton and more. I have to admit that I liked FRANCIS HA better than I did this film but I still enjoyed both it and Gerwig’s performance. 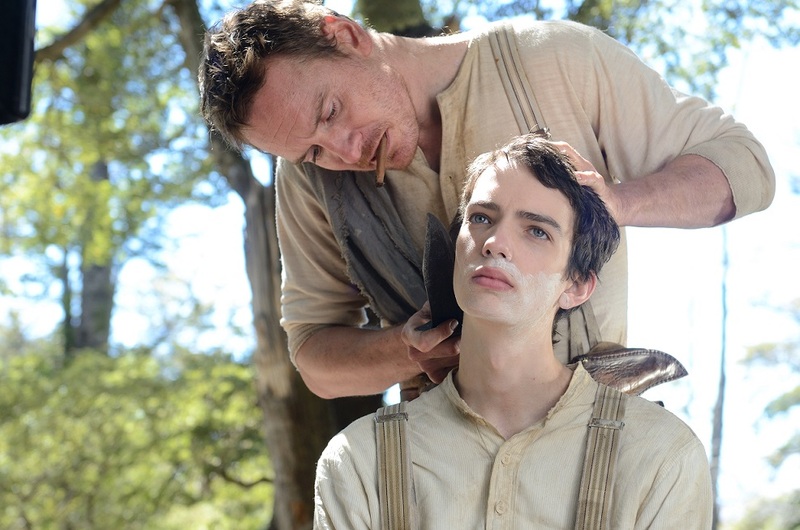 It’s the end of the 19th century and 16-year-old Jay Cavendish (Australian actor Kodi Smit-McPhee) travels from his privileged home in Scotland to the American frontier in search of the woman he loves. Jay is like the proverbial sheep in the den of wolves but he thinks he can handle all shady characters who wouldn’t think twice about slitting his throat and stealing his money. Fortunately, he is aided in the nick of time by the mysterious Silas (Michael Fassbender, STEVE JOBS), who agrees to accompany Jay to his love’s ranch. What Jay doesn’t know, though, is that everyone he meets wants him to get to the ranch. When finally he does arrive, it all comes to a very Tarantino-esque conclusion. This is director John M. Maclean’s first film and a well done one at that. The film won the Grand Jury prize at the 2015 Sundance Film Festival and was selected for screening at dozens of film festivals around the world including Beijing and Taipei. Maclean himself won a BAFTA award in 2012 for his short film entitled PITCH BLACK HEIST (also starring Michael Fassbender). Fans of TV’s GAME OF THRONES will be pleased to see one of their favourite actors in this film too.